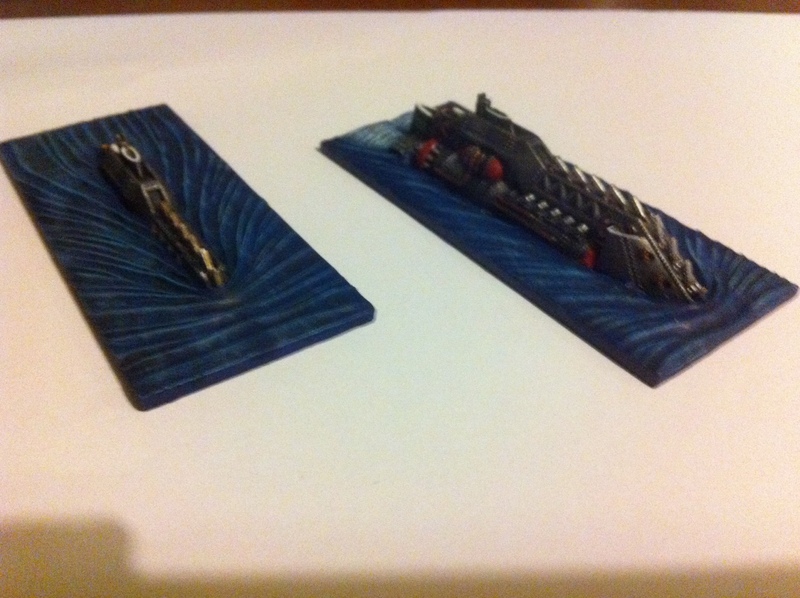 This week’s finished project for #miniaturemonday is a Tsunami-class heavy cruiser or Firestorm Armada. I’m quite pleased with how this turned out. 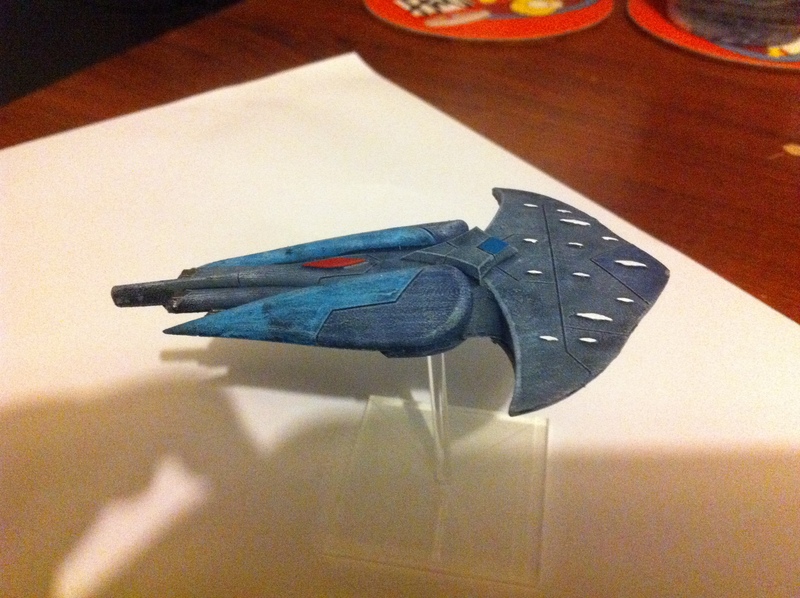 I put more of the secondary colours onto this model in comparison to the standard cruisers and I think the effect is much more interesting. 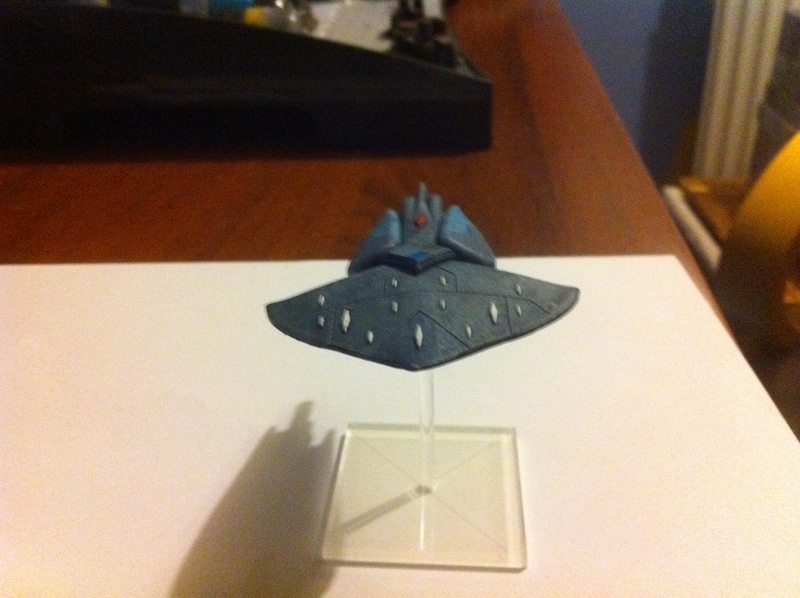 For this ship I added a red squadron marking as I envisage these ships being employed more aggressively than the ordinary cruisers. With luck I will finish the rest of the squadron in the next few weeks. 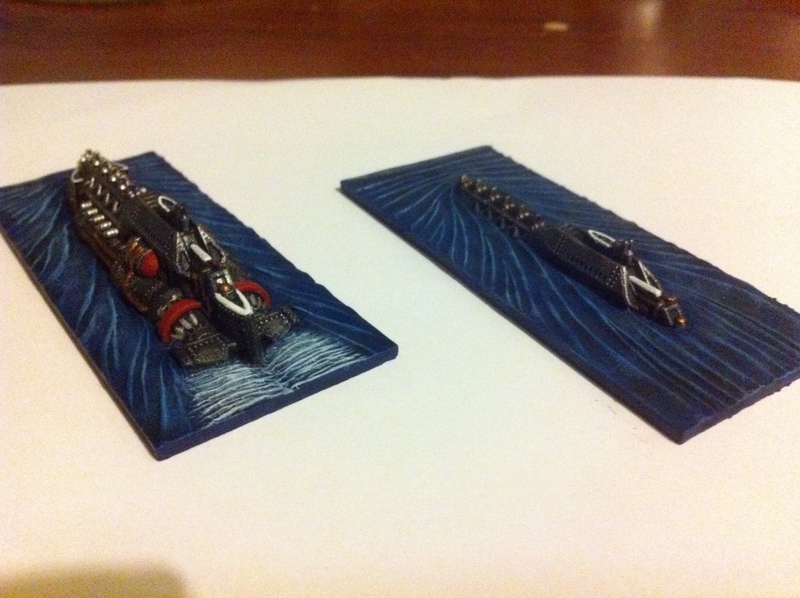 This week for Miniature Monday I have been able to paint up a Vanguard-class submarine for Dystopian Wars. 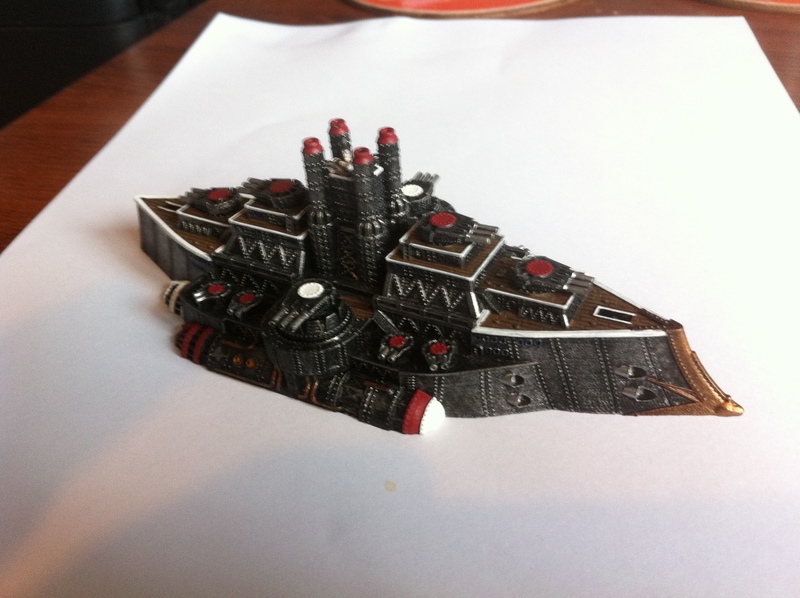 I used my standard black/gunmetal hull with red and white details and bronze for the pipes. 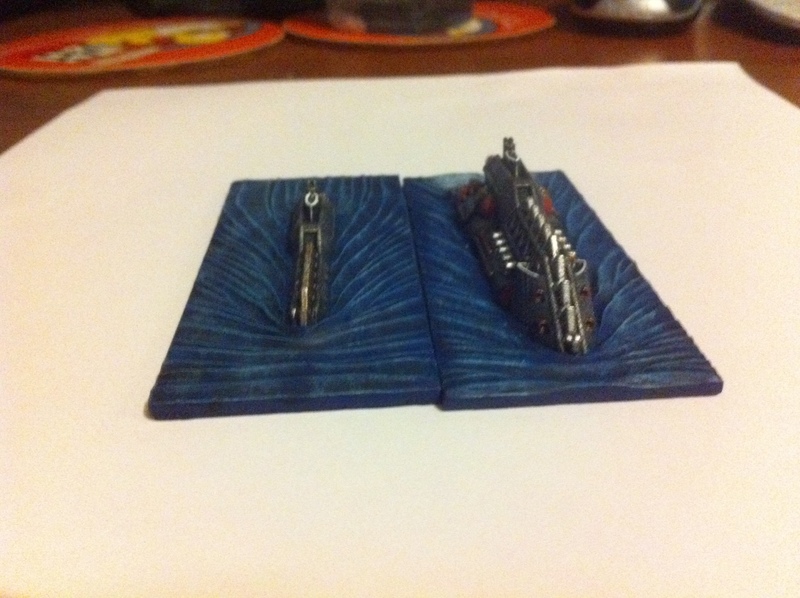 I quite enjoyed painting the waterline base. It was done with Regal Blue, shaded with Asurman Blue wash, then highlighted with Enchanted Blue, Ice Blue and finally Skull White. 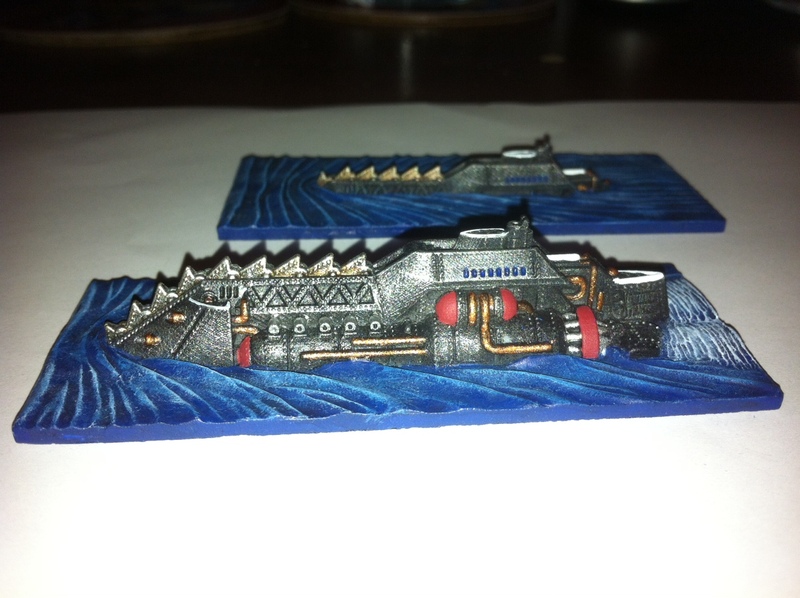 So far, I have one surfaced version and one submerged done. 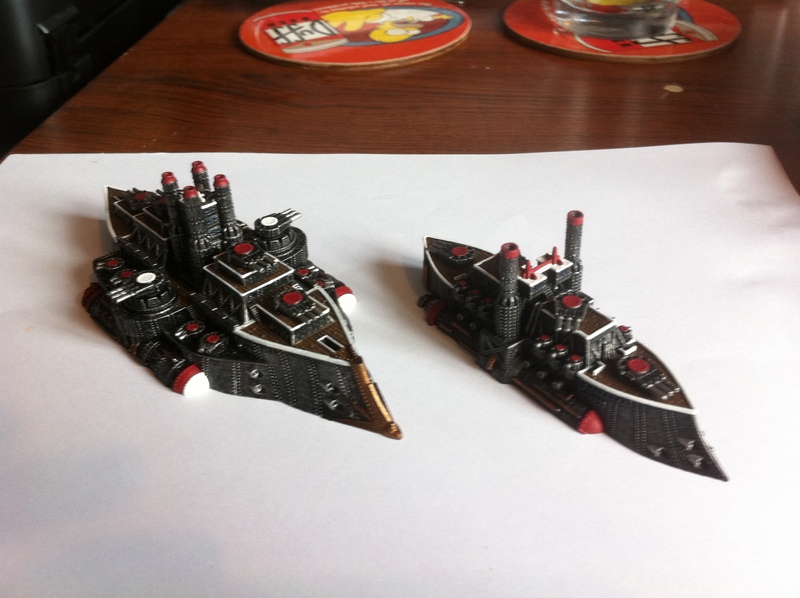 I also have more Britanian cruisers in progress as well as Aquan heavy cruisers for Firestorm Armada. Hopefully I will be able to show you them next week. Another Miniature Monday has rolled round and I’m pleased to be able to report that on this occasion I have something to show you all. 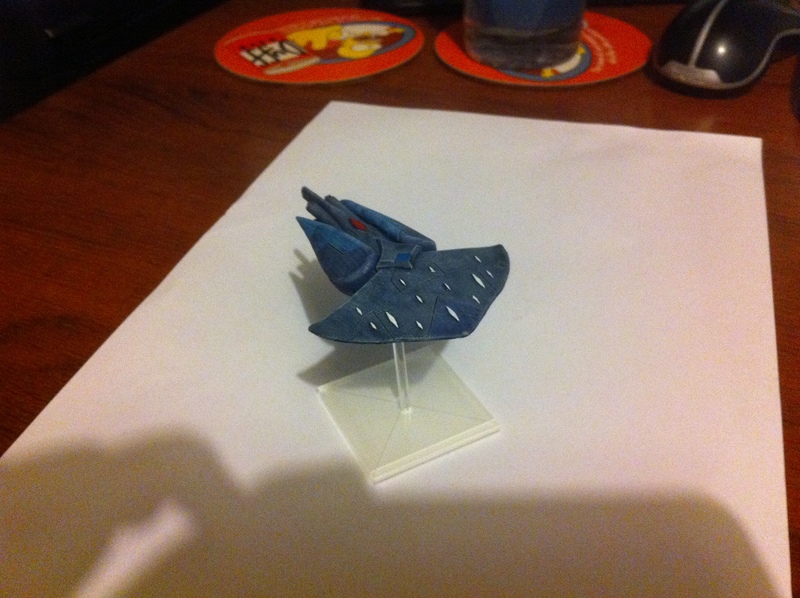 Painting this ship, I followed the same colour scheme I have been using for the other ships I have painted for this fleet. 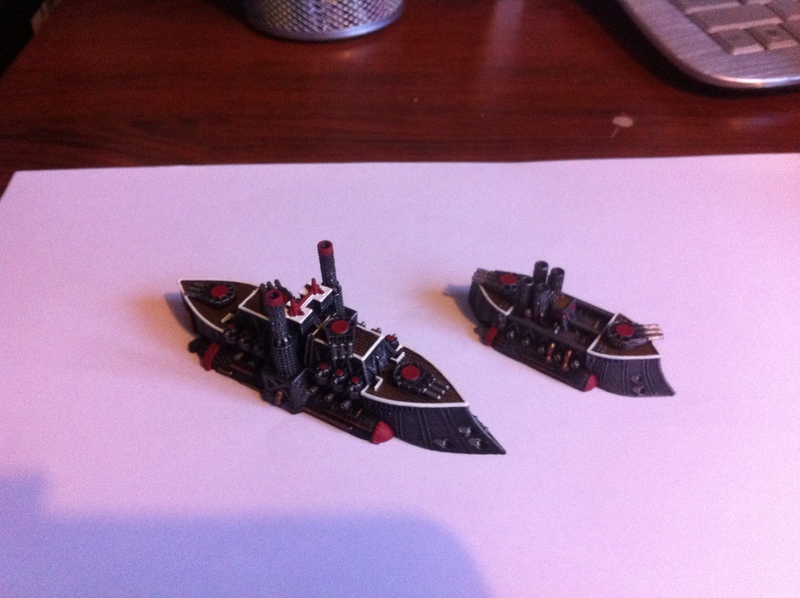 I’m quite happy with how the red and white trim contrasts with the black/gunmetal hull. 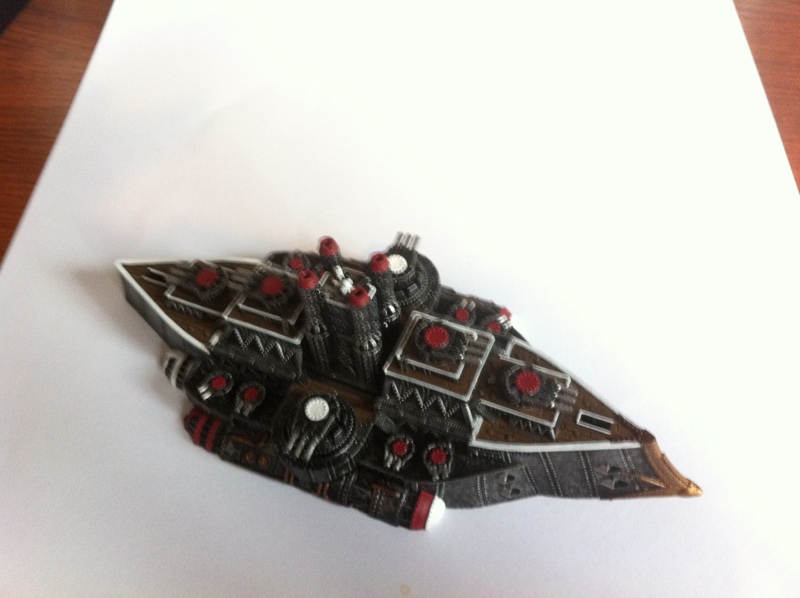 I’m also quite pleased with how well the bronze I used to pick out the ram in the prow came out. The next project for the Britanians will be to finish of the cruiser’s squadron mates. After that the time has probably come to look at the Frigates and Destroyers.